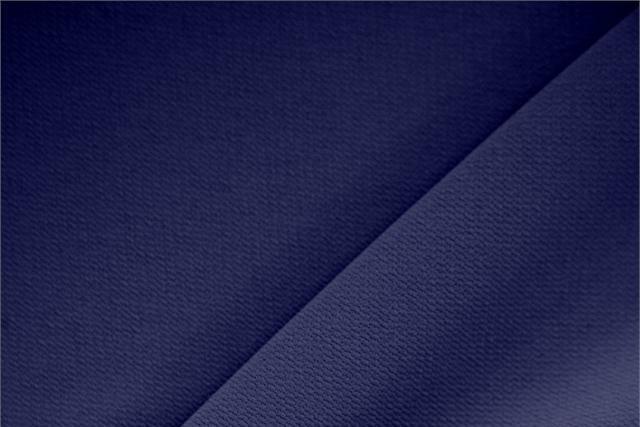 Buy online our clothing and fashion fabric 'Notte' Blue Polyester Crêpe Microfiber, Made in Italy. Our crepe microfiber fabric is produced with threads made of hundreds of filaments, that make its surface very thick and the colors vivid, intense and bright. The yarn is very tightly spun creating a fabric that combines the softness and practicality of microfiber with the look and feel of a natural fibre crepe. Our crepe microfiber fabric is perfect for dresses, trousers, suits, skirts and overcoats. Notte Blue Polyester Crêpe Microfiber Plain fabric for Dress, Jacket, Light Coat, Pants, Skirt.